This Collection are inspired by the hugely creative output of the artists, poets and designers of the 1930s, especially those associated with the Bloomsbury Group and the Omega Workshop. The charm of the collections reflects the eclectic nature of influences ranging from Post mpressionist paintings and textiles to the interior decoration in houses such as Charleston Farmhouse, the beautifully preserved home of Vanessa Bell and Duncan Grant, both of whom were key personalities within the Bloomsbury Group. In developing the print designs the Sanderson studio has used oil paints, dry-brush effects and fresco techniques to bring the designs to life, whilst abstract, block-prints and simple repeating patterns found in Bloomsbury interiors inspired the velvets and weaves. The designs range from unashamedly romantic prints to abstract geometrics that together capture the spirit of an age when creativity blossomed. Bloomsbury Canvas prints and embroideries. These designs were inspired by the interiors and original artwork found on ceramics and in the artists studio at Charleston Farmhouse, while at the same time imitating techniques that were often used by the Bloomsbury artists. 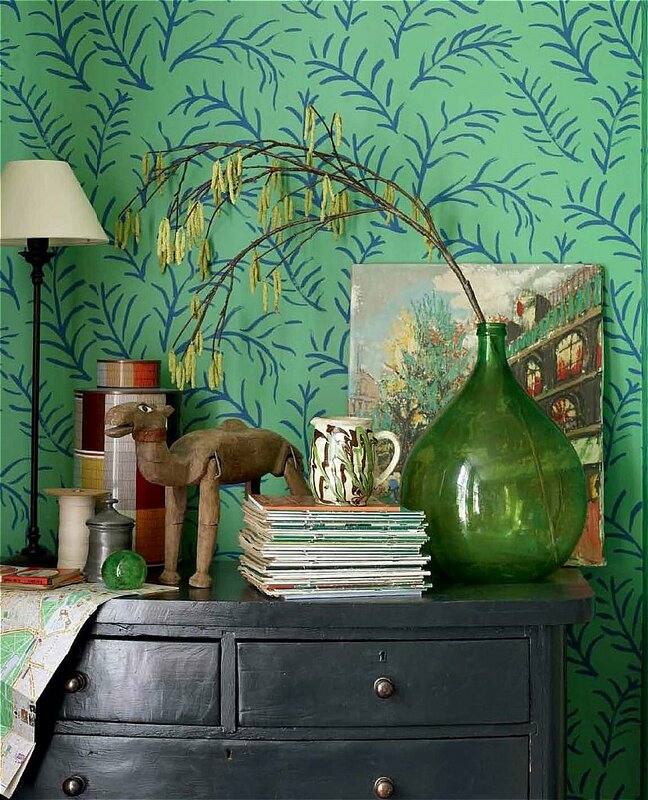 I would like more information about Bloomsbury Wallpaper by Sanderson.